Not just any BBQ the event at Wooden Bear Farm Saturday, June 19th, was an amalgamation of many worlds. Local food legends, real estate, social media and most importantly a gathering of long lasting tried and true friendships cultivated over a short time for a few, a couple of decades for others. All keys to a fun filled event. I also gleane d from the day solid BBQ tips that I thought worthy of sharing! We were very fortunate that local food legends Bill the Butcher, Columbia Winery and Dry Soda were interested in joining us for Wooden Bear Farm’s Legendary BBQ. 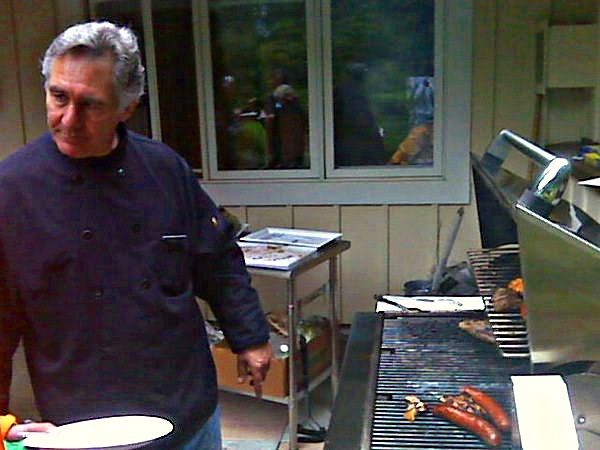 Despite our NW summer liquid sunshine by 1pm the master of his craft, Bill the Butcher, had the grill smokin’! 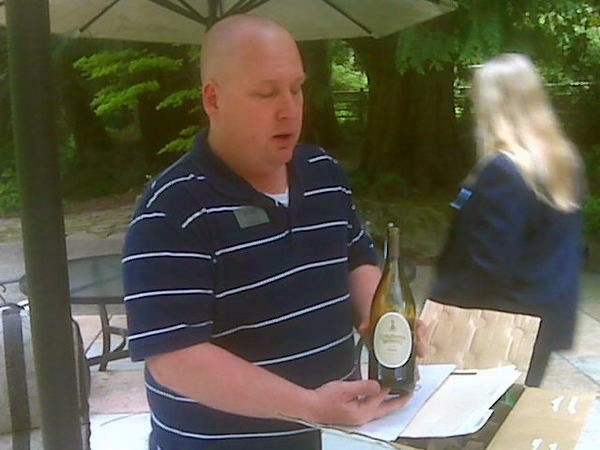 Columbia Winery had secured a place close to the grill and set up outdoors under an umbrella ready to pour…wine. And DRY soda bottles were lined up tasting style ready to fill glasses with their flavor filled introduction to the Wooden Bear Farm crowd. 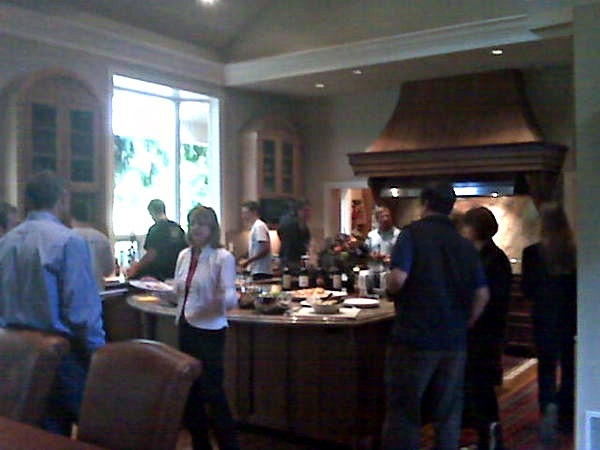 BBQ Tip # 3 IF YOU CAN’T GET THE EXPERTS ~ DO WHAT THEY DO! Bill the Butcher’s smokin’ grill served up an array of offerings including grilled chicken, flank steak and sausage along with special sauces. Find Bill the Butcher in Laurelhurst, Woodinville, Madison Valley and …. Redmond! Truly the neighborhood butcher that knows best. 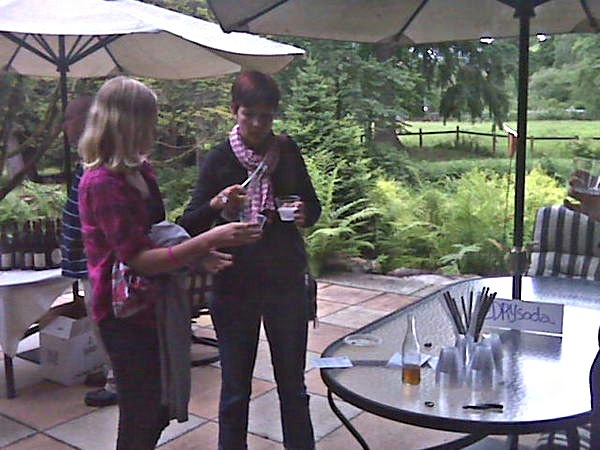 They are experts ready to be consulted on all things grillin’. Columbia Winery came ready for the day and it was clear they know their BBQ. 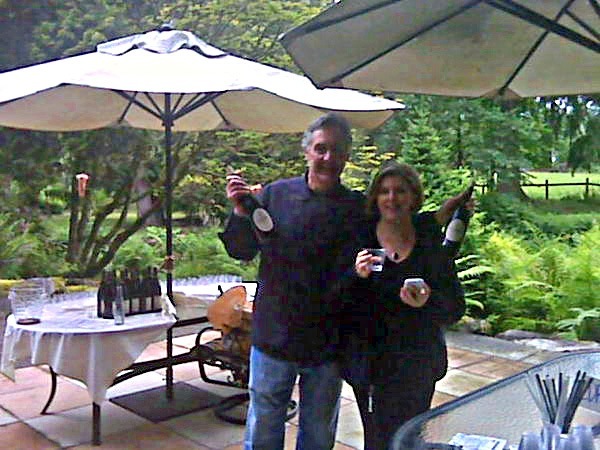 Columbia Winery p oured their Pinot Gris and a 2005 Syrah that I can guarantee are brilliant choices for your next BBQ. Trust me even your friends who are “all wine all the time” will be impressed. 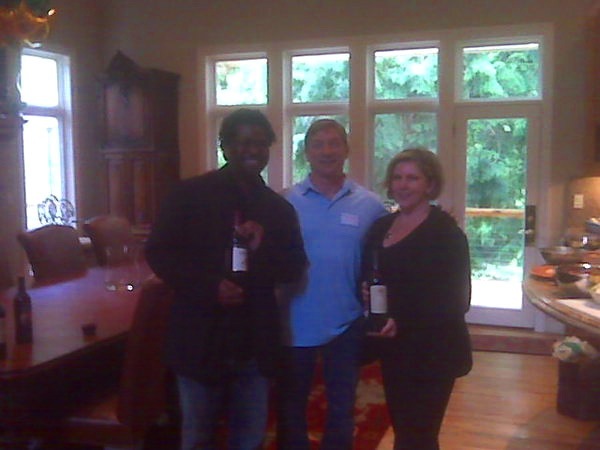 Columbia has a tasting room in Woodinville stop by and try their wines for yourself. 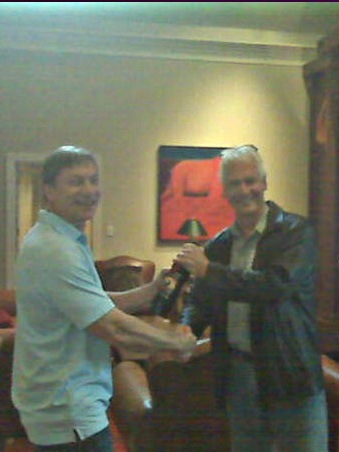 Never underestimate a Columbia Winery wine! 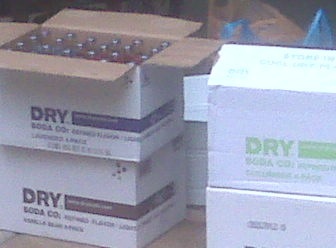 The oxymoron of a DRY soda can only be understood by trying DRY. 7 unique flavors- Cucumber, Lemongrass, Juniper Berry, Vanilla Bean, Rhubarb, Lavender and Kumquat. Made with pure cane sugar and 1/4 of the sugar of regular soda. A fun addition and conversation starter for any BBQ. Taste test Monday through Friday at their tasting room downtown Seattle. 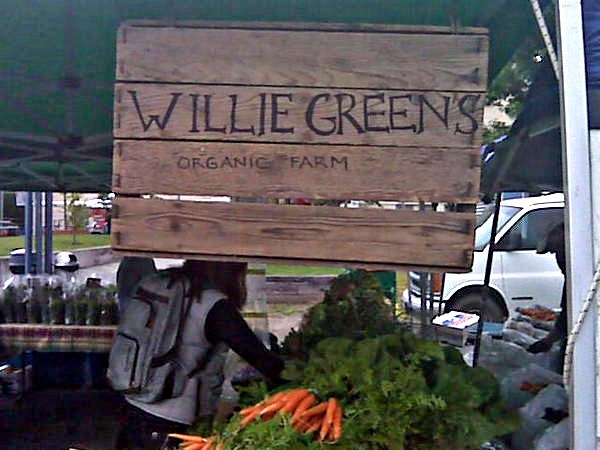 Throw in some greens from your local CSA like Willie Greens or your local farmers market and you will have a legendary BBQ. One your friends won’t forget. Trust me follow these simple tips and you can’t fail even if the weather fails you….. THANK YOU! Bill the Butcher, Columbia Winery and DRY soda for your time, expertise and great food and wine! It made for a very memorable legendary BBQ! And thank you for the tweets @theonlymeat, @ColumbiaWinery @DRYsoda @woodenbearfarm @Shona425 @Celo4life @alancyates @WABrokers and of course…top tweeter Dr. Partington.